OLED devices, made from organic materials that emit light when currency is applied, enable thin, flexible and efficient displays and lighting devices. OLED is widely considered to be the next-gen display technology. Kodak actually invented OLED technology, and In December 2009, the company announced that they have sold all of their OLED business to LG. LG paid $100 million for the OLED unit. Kodak still have access to the technology for their own products. In the early 1980s, Kodak invented the OLED technology, and following years of development, licensed the technology to around 20 companies, including LG, CMEL and others. Back in 2008, we interviewed Mr. Corey Hewitt, Operations Manager & Vice President, Kodak OLED Systems. Back in 2003, Kodak released the first product ever with an AMOLED display, the EasyShare LS633 digital camera. That camera had a 2.2" AMOLED display with a resolution of 512 x 218. 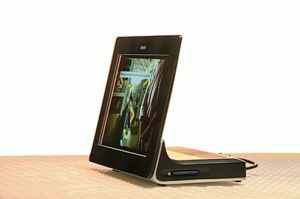 In September 2009 Kodak released a wireless picture frame, with Wi-Fi, 2GB of storage, and a 7.6" AMOLED, 16:9 aspect ratio, 800x480 resolution, white to black contrast ratio of 30,000:1. The display was produced by CMEL. The picture frame was available for a while at amazon, for around 800$. 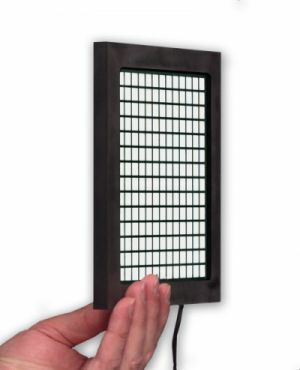 In addition to OLED displays, Kodak was also active with an OLED lighting research program. . Back in 2008, we We talked to Mr. Steven Van Slyke (R&D directory) and Dr. Yuan-Sheng Tyan, a Research Fellow from Kodak's OLED systems.